Next time you have a cold, don’t be surprised if you get a bit of scrutiny with your Sudafed. Washington’s board of pharmacy just approved new rules that will make getting any pseudoephedrine product a little more like traveling through airport security. The good news is that law enforcement will be alerted any time a small cache of pseudoephedrine — the key ingredient in making methamphetamine — is purchased at a local store. But next time that pounding headache, cough and general feeling of awfulness drags you into Ride Aid or Walgreens, expect to be asked for your driver’s license or ID, which will get scanned into a database. This concept isn’t too new for Washingtonians — one of meth’s first victims in the country — who’ve already been handing over IDs so they could be catalogued in a paper database for law enforcement to see. The difference now is the federal government’s “Combat Meth Act,” which makes the database electronic — and thus instant. By October 15, all retailers will have to be using the system and complying with the new rules operating it. OLYMPIA — Making methamphetamine (meth) in Washington just got harder thanks to a new, instant, electronic reporting and monitoring system. The Washington State Board of Pharmacy adopted rules for the system that tracks purchases of over-the-counter medications used to make the drug. Retailers and law enforcement are now learning how to use the system. On October 15, all retailers must comply with the system’s rules and law enforcement can use the information for investigations under the federal Combat Meth Act. The tracking system, which is in use in many other states, scans photo identification as well as type and amount of product; it provides real-time information showing the cashier if the person buying the medication has exceeded the allowed quantity. 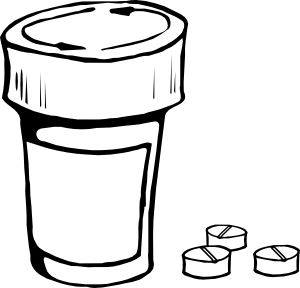 Information on the purchase of medication over the legal limits goes instantly to a database available to law enforcement. Restricting access to drugs used to make meth is a key step to ending illegal meth labs and dumpsites, and to deterring meth abuse and addiction. Controlling access to products containing pseudoephedrine, ephedrine, and phenyloproanolamine will help stop meth makers from buying big quantities of the products while allowing legitimate access to cold, flu, and allergy products. The state will use the National Precursor Log Exchange (NPLEx), a no-cost system provided to states that want to replace paper sales logs with real-time electronic tracking. Pharmacies, shopkeepers, and other vendors selling these medications will enter sales transactions into the NPLEx system at the time of sale.